Quantum Vac The Vacuum that Uses Water! Review of the Quantum Vac The Vacuum that Uses Water! The Quantum Vac is a Powered by Mom Holiday Gift Guide Pick. As consumers we’re guilty of constantly discarding and buying the latest gadgets. This is especially true during the holiday months when companies are releasing their newest product lines and constantly airing commercials that compare the new models to their predecessors. I get it, it’s hard not to be drawn in by what people are calling “new and improved.” I myself am just as guilty as upgrading as the next person and often find myself looking forward to this time of year so I can see what my favorite brands are rolling out for the holidays. Quantum Vac Parts – it’s easy to assemble. I like that the power cord can be fully detached from the unit so as to not damage it. The problem I seem to have with my gadgets, especially my appliances for around the house, is that nothing ever seems to work as well as I need it to. As both a cat and dog owner, my home has its fair share of pet hair that lingers around and I’ve noticed that my old vacuum just doesn’t quite cut it when it comes to picking it all up. There just wasn’t enough power to do everything we needed, so, I started the hunt all over again for a model that could deliver the results we needed. Where the water goes. My cat was interested in what I was doing. As it turns out I found exactly what I’d been looking for, not long after I started my search anew. The Quantum Vac is every home owners dream. Unlike a lot of other model vacuums, the Quantum Vac Pro never loses suction/air flow or decreases in power once it gets going. One of my favorite features about the Quantum Vac is that there aren’t any dirty canisters or bags to change and because it uses clean water, the filter is always clean. Ollie that is not your new water bowl. You might be wondering what the Quantum Vac needs water for at all? Well, that’s the best news: for those who are always upgrading (like me) the Quantum Vac is something truly amazing. It’s a vacuum cleaner, air purifier, wet/dry vac, blower & inflator and deflator, all-in-one! Bacteria-Reducing Micro Silver Technology that protects your family from toxins and more! Built to Last with stainless steel tubing and top grade wire hose. Self-Regulating Computer lets you set a timer to purify the air in your house. Telescopic Handle that lets you reach places other vacuums can’t. Ideal for Families with small children, allergy sufferers, & expectant mothers. It was easy to assemble but I was a little worried at first about using the correct hose. You don’t use the powerhead for wet spills or it’s corresponding hose. You must make sure you use the other hose with the small head (not a powerhead) for wet spills. They are easy to tell apart but I just got a little worried with all the warnings. Don’t let children play with it. It is loud when you’re using the powerhead and so you can hear that we did the super quick video below just as a demo on the sound of it. The Quantum Vac has been great for me and my family. Not only does it take care of animal hair like a champ but it also picks up debris that gets brought in from outside, like pine needles and dirt. The only complaint I’ve had is that I haven’t found the best way to dump the water yet or rather where. The instructions are a little vague so it really comes down to trial and error and what works best for you. Other than that I’ve been impressed with the Quantum Vac! To find out more about the Quantum Vac you can visit their website. 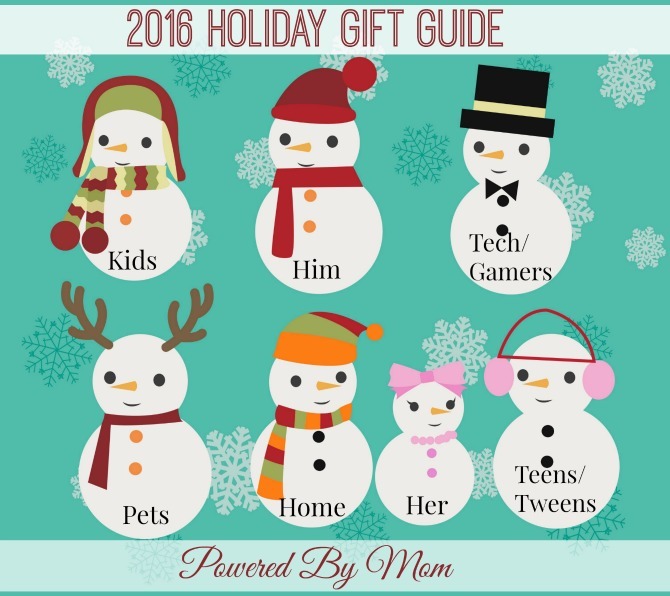 Make sure to check out Holiday Gift Guide. Simply click on the snowman below of the category you want to look at. « Project Mc2 Camryn Doll & Hoverboard Giveaway! Wow!! I really like this water vacuum but I have never had anything like this. I heard these are the best vacuums!!! I am not sure, but it would be nice to find out! Now this is definitely a different type of vacuum. It sounds like it would do a really good job of picking things up. It reminds me of a vacuum my friend had about 20 some years ago and it was called a Rainbow Vac, I think. It did a wonderful job of cleaning too. Our president actually worked for Rainbow Systems for many years, and loved their water filtration idea, but hated the way they implemented it. He designed a similar machine that doesn’t require the HEPA filter that Rainbow machines do, and wanted to make sure it didn’t cost you the price of a car! Feel free to call us at (844) 324-1411 for more information! I bought a Rainbow back in 2001 – this reminds me of that. LOVE my Rainbow – still going strong! If this one is anything like the Rainbows then I definitely am for it! This reminds me of the old Rainbow vacuum my parents had when I was younger. If it’s anything like that one, this is a great vacuum. Have a recollection of this type of vacuum being sold when My mom was young.She passed 4 years ago at 84! This is the first water vacuum that I have ever heard of other than wet vacs and it just sounds a little gimmicky to me. I really don’t see the point in the extra steps being worth the effort. You’d have to see the difference to truly understand and believe why so many people get behind the product. General vacuums only have enough power to pull from the top layer of the carpet itself, and they have up to 5 filters that clog with each use making it harder and harder to vacuum. The Quantum Vac is able to pull not only from the entire carpet, but the pad and floorboard underneath with no filters that can clog or reduce airflow/suction. Most vacuums also only last up to about 5 years before breaking down whereas ours is designed to last an average of 25 years. You can try it out for 60 days risk-free and if you don’t absolutely love it, just send it back in the original packaging for a full refund of your purchase price. We used to have an old rainbow that my mother used for 34 years. Every time I would set the pan down after putting water in it my cat or dog would do the same thing. I had to laugh when I saw that picture. Thank you kindly for igniting an old memory! Happy Holidays! Enjoy! This sounds like a great vacuum cleaner with extra benifits. I have heard about water vacuums, but I have never used one.